With the NBA All-Star Break coming up in a few weeks, it is time to check back in on what Las Vegas oddsmakers expect as pretenders continue to be separated from contenders. 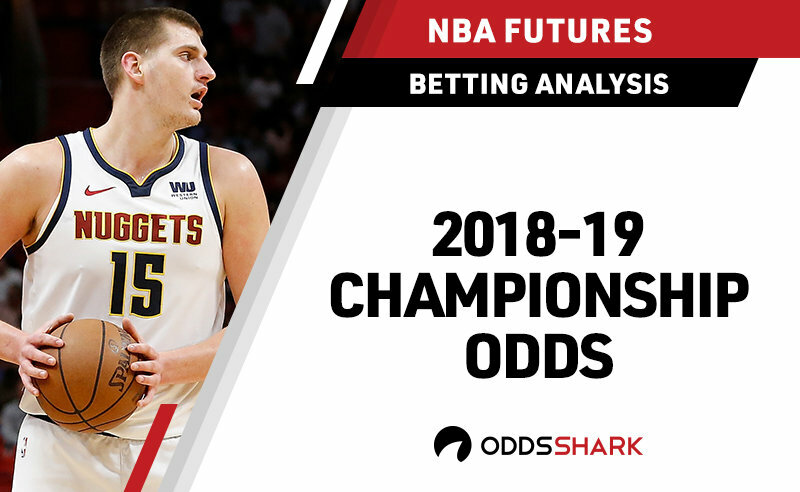 According to the most recent betting odds from Vegas Insider, one team is still a fairly heavy favorite to win the NBA Finals in June, and it is not a surprise which team holds the top spot. The Golden State Warriors are betting favorites to win their fourth championship in five years, with 2/5 odds. They were at 5/9 odds back in December, during a period in which they were troubled by injuries to star players and sitting at the fourth place spot in the Western Conference. However, the Warriors got healthy, activated offseason acquisition Demarcus Cousins and proceeded to win 11 straight games. Golden State now sits atop the Western Conference with a 36-14 record. Behind the Warriors are the Boston Celtics and Toronto Raptors, with identical 10/1 odds to win the Finals. Toronto is second in the east, while Boston is fifth, but both are fewer than five games back from first place with dozens of games left in the season. The Houston Rockets and Milwaukee Bucks both have 20/1 odds to win the Finals. The Rockets have surged thanks to James Harden's monstrous scoring streak, while young superstar Giannis Antetokounmpo has carried the Bucks to the top of the east with a 35-13 record. Finally, the Philadelphia 76ers have 30/1 odds to win it all. They could be held back by the lack of shooting from Ben Simmons and the ongoing absence of Markelle Fultz. Behind them are the Los Angeles Lakers, who have 40/1 odds. If LeBron James can stay healthy and they can acquire Anthony Davis, that could shake up the betting odds.